However, from a personal perspective, 2016 was a very good year — health issues notwithstanding. I realized my decade-long dream of riding a bicycle to Nome. Beat and I moved to Colorado. We gained some local mountains and learned to love them. After three months of carpal tunnel syndrome, I now have strong appreciation for pain-free existence. The adventures continued. And now it's time for my annual photo post. In these posts I pick a favorite photo for each month. These photos have a particular theme of my favorite places in 2016. 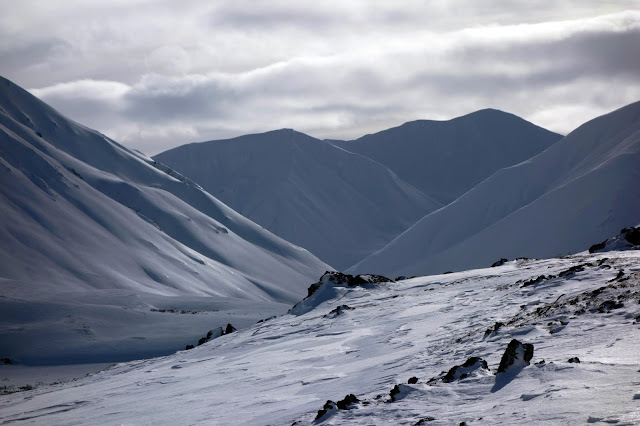 Alaska's White Mountains are a harsh and mysterious place, with unique beauty that is equal parts tranquil and fierce. I love this region in a way I feel about only a few places in the world. So when the bottom bracket on Beat's bike failed just a few miles into our New Year's trip, I was terribly disappointed. It was Beat who suggested pushing the bike for 40 miles into Windy Gap, through a blizzard, gale-force wind, and open water. 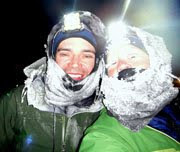 We were exhausted when we finally slumped into the cabin just a few minutes before midnight, and satisfied with the unexpected epic. This photo shows the following morning (or what passes for morning at 64 degrees north. It was probably after noon.) The pink light, the pipe-cleaner trees, the delicate frost ... I love this place so much. A couple of these photos represent "what I miss most about California." Near the top of that list — the road riding. The Bay Area has miles upon miles of narrow pavement snaking through thick forests and grassy hillsides, with light traffic, friendly grades, ocean views and blistering descents. Ahhh. Also, I miss the redwood forests. Here's something I didn't expect to miss so much. In May, I walked into my hand surgeon's office in Boulder, and saw two framed photos of redwood groves on her wall. I actually teared up. 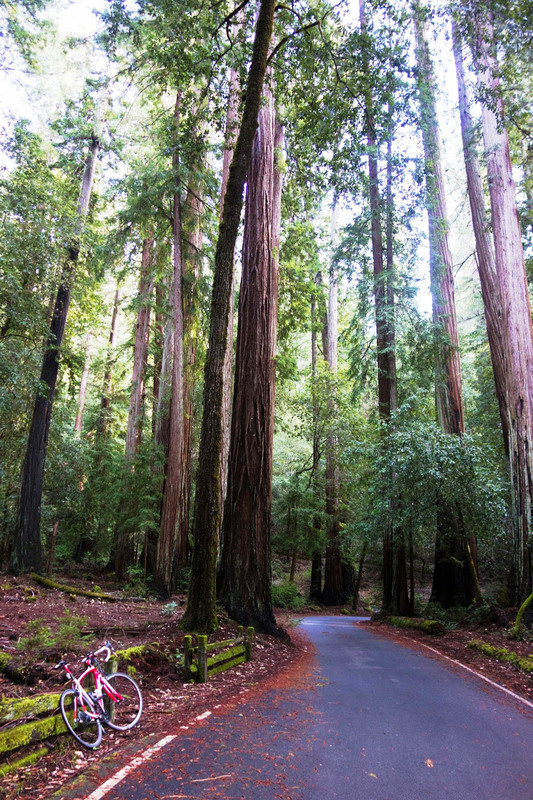 Although most of California's redwood forests are second-growth, there are a handful of ancient groves that hint of a prehistoric world. 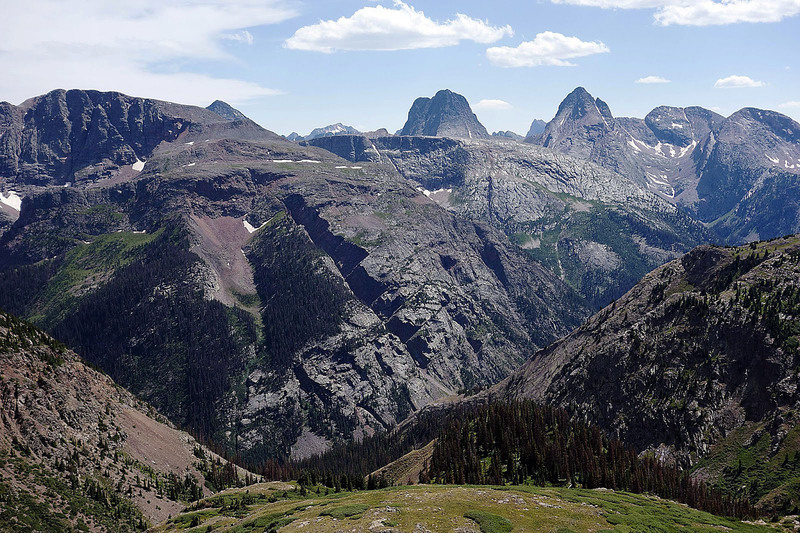 In the scheme of mountains, Rainy Pass is a rather diminutive gap in the Alaska Range. And yet, it's one of the grandest places I've had to opportunity to visit. 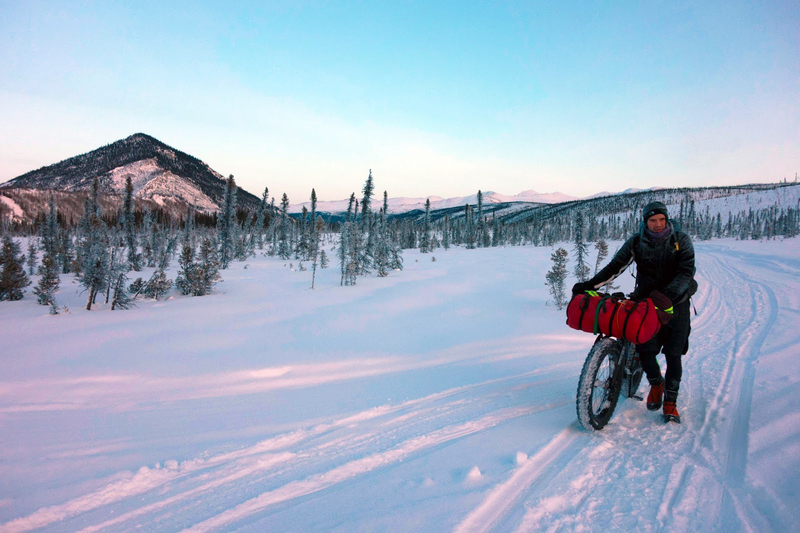 As part of the Iditarod Trail it's relatively well-known, and yet it feels uncharted and otherworldly. If nothing else, I hope I do not fall into the Tatina River, so I can return to Rainy Pass again and again. 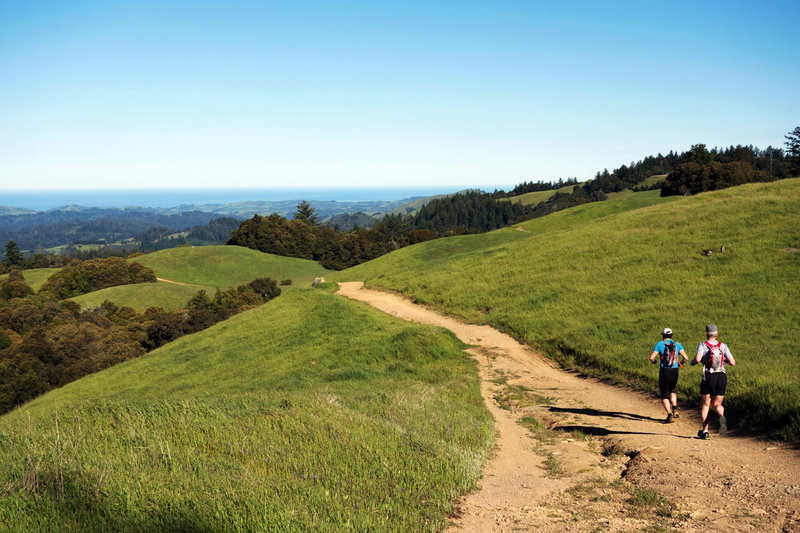 Long Ridge is another favorite spot in California — an open ridge with wide-ranging views of the Santa Cruz Mountains and the Pacific Ocean, and trails that lead into one of the densest redwood forests in the Bay Area. This was our last run to visit "Old Tree," a 1,200-year-old redwood in Portola State Park. 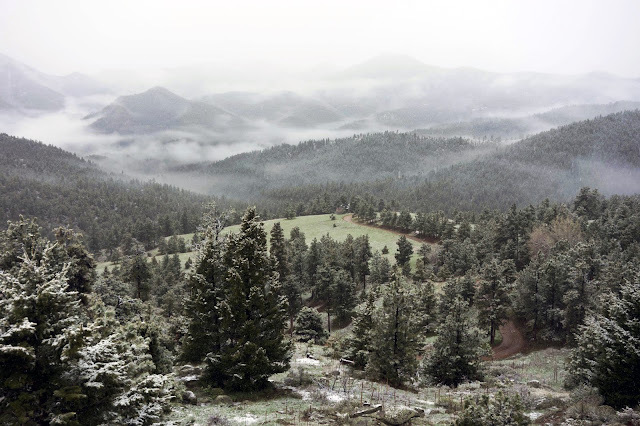 Our first weeks in Colorado were marked by late-spring snowstorms, rain, and fog ... all so beautiful. We moved to our house in the hills above Boulder, and I often sat in one of few chairs we had at the time and stared out the window. Before, I didn't think having scenery out the back door was important to me — when I'm outside I like to be on the move. Now I understand how much I value being surrounded by beauty, even when I'm sitting still. 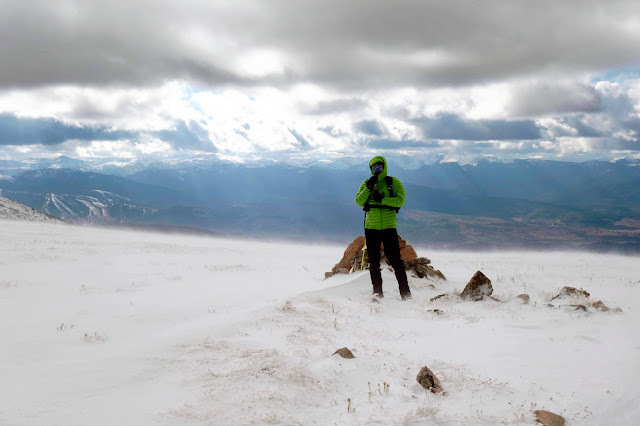 There are aspects of Colorado that are challenging for me — the climate and the altitude (yes, I believe I am still negatively affected by altitude. No, I can't prove it.) But I love this spot. My favorite part of this photo is Beat's smile. 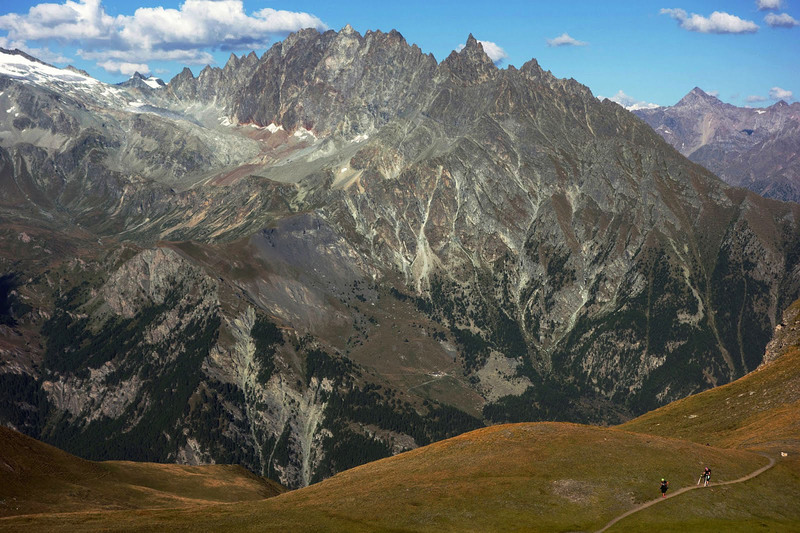 This was one of the first outings into our local mountains, which are easy to appreciate. While Beat was running the Hardrock 100, I ambled through wheezy walks in the San Juan Mountains. This was my last and worst hike of the weekend — I don't remember where I was heading, but I do remember sitting down on the trail several times after I became dizzy and disoriented. Shades of this oxygen-deprived sensation dogged me for most of July and August, which is the main reason I don't look back fondly on summer. But hindsight recorded some beautiful moments, and this is one of them. We made our annual pilgrimage to the Alps, and for the first time in years, I didn't have a race of my own to consume emotional energy. What remained was a strange emptiness — I know, I know, I need to move on and discover the same beautiful intensity outside endurance sports. 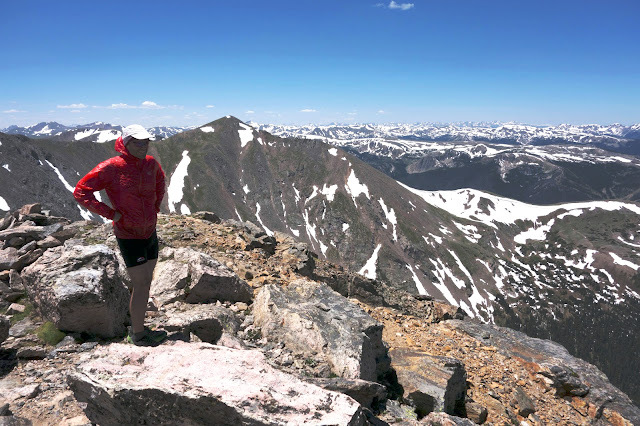 While Beat was racing PTL, I attempted to inject some of that beautiful intensity by hiking (and scaring myself) on pieces of PTL's technical course. And because I wasn't racing, I found incredible places to sit and watch the world go by. 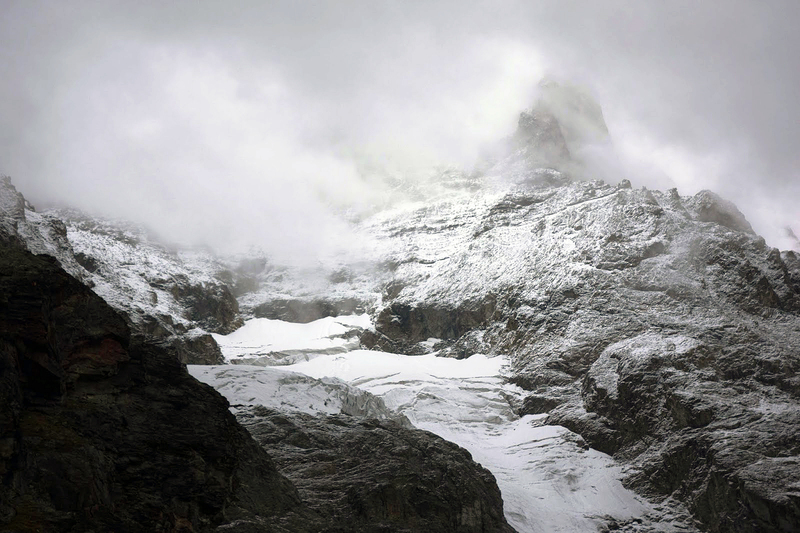 My attempts to view the Matterhorn from the Italian side were thwarted by fog and verglas, but I did find a fantastic place to climb steep slopes amid freezing rain and feel exquisitely lonely in a tourist town/ski area. Back to the mountains of Colorado, where the Continental Divide was experiencing a rare calm and warm day. My friends Corrine and Eric were visiting from Alaska, and I dragged them on an 18-mile hike around the High Lonesome loop. 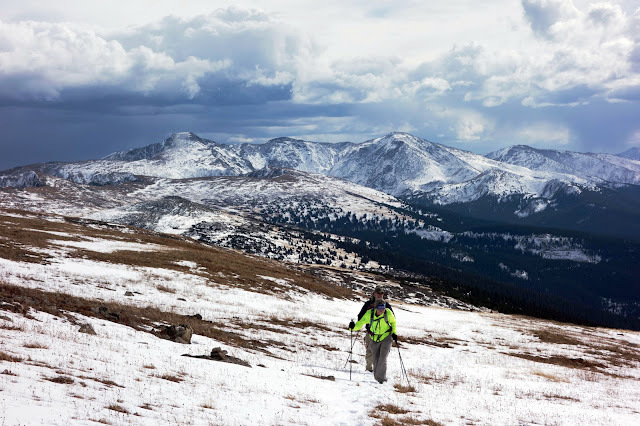 Like many folks in Boulder, I've become enamored with the Divide for its vistas, stark landscape and fierce weather. Beat is standing in a similar spot on the Divide, during a hike with our Australian friend Roger. It's difficult to take a photo of wind, but I think this image — with its softened features and background blurred by blowing snow — comes close to capturing what it's like to stand in those near-constant gales. 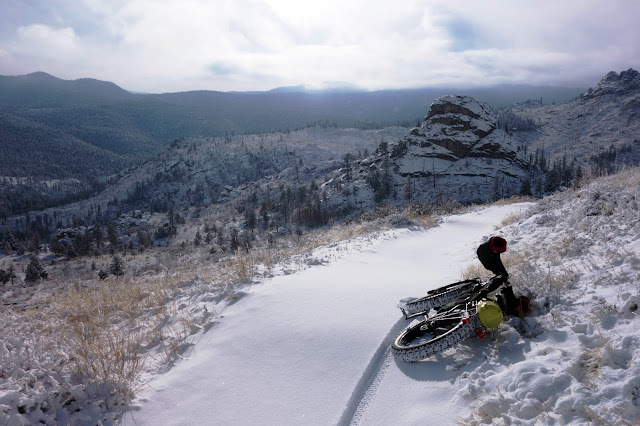 One of my local trails, Walker Ranch, was still untouched in the afternoon after a snowstorm. This was a lovely ride in which I battled to cover 18 miles in four hours, and in some aspects, I wouldn't have it any other way. I muse about missing California, mainly because it wasn't that long ago that I felt fierce and strong during my outdoor outings, rather than my current state, which is probably best described as "not strong." Of course, I'm in much better shape than I was during the summer, and I no longer have breathing attacks. But I'm beginning to accept that my athletic abilities have changed, possibly permanently. In some ways, I'm okay with that — I'm still getting out, still moving through the world, still making the most of the present in the face if an increasingly uncertain future. No, I wouldn't have it any other way. Here's to a fierce and strong 2017. Happy New Year! Jill. Photos are just stunning. I particularly like the September shot of Monte Cervino. Such rugged beauty shows so well in black and white. I know you've been down lately, but looking back through your year in photos has to raise your spirits and hopes. I, too, feel the upcoming year could be disastrous, but seeing your images gives me hope that the power and majesty of nature will prevail. Here's hoping for all the best for you in 2017. Awesome photos Jill. After years of following your adventures you still inspire me to get stop making excuses and get out the door for adventures. Jill you really should publish a yearly calender these are fantastic! Beautiful, and a good aide memoire. Good luck and optimism for next year. You can do more than you believe. Oh the places you go!! Thank you so much for all you write and photo and all you are. You bring a ton of Outside to my life and I am better for it. Always love your year end photo essay with your favorite photos!. I think Fierce and Strong is a great motto for 2017. I may just have to adopt it too. Incredible photos that told a story of a stunning year. 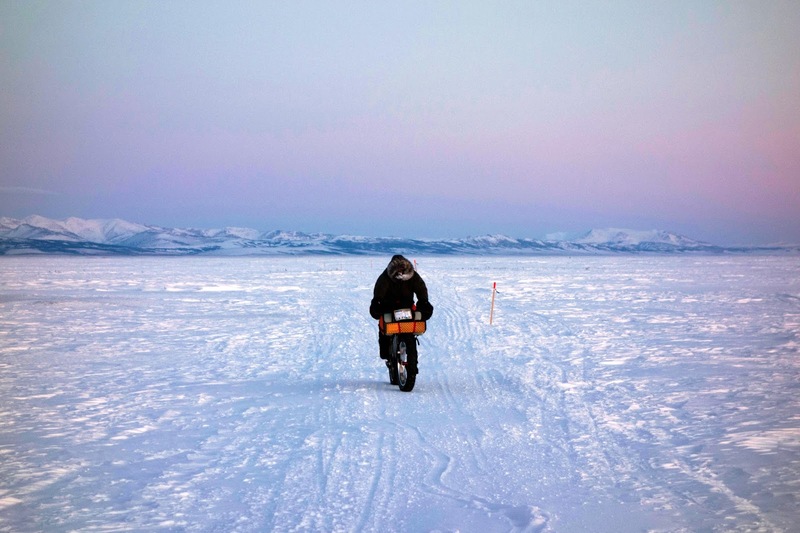 Pedaling to Nome must have been a huge highlight of a lifetime! 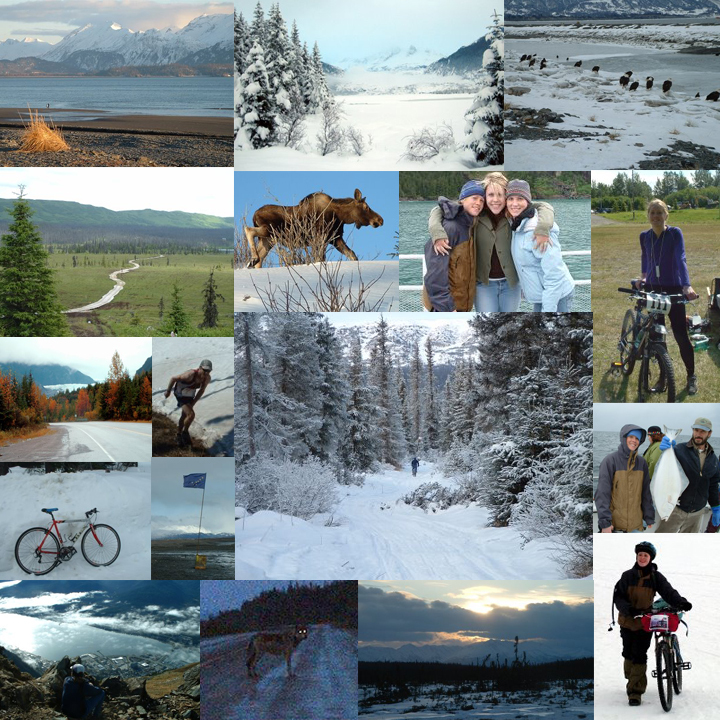 I love the lighting in your Alaska photos - that alone makes me want to visit there in winter! As someone who has now lived above 8000' for a long time and who has a PhD in physiology, I am almost certain that you'll never be able to run and bike as strongly at this elevation as at sea level. High level athletes might sleep this high but they make sure to go lower for higher intensity workouts. At lower elevations (unlike at higher ones), their cardiovascular system is less of a constraint on their performance. That means their muscles can adapt to higher intensity work, which is important if they plan to compete at lower elevations. I guess I'm saying that what you feel may be normal because the cardiovascular system doesn't ever fully adapt to our elevations so that it can perform as well as at sea level. I love your posts and reflection...who needs specific races to get psyched/anxious over when you come up with your own challenges instead?? :) I especially love your photos - I concur, you should consider making a calendar! Incredible! It has been a challenging year for you. One of my proudest moments was seeing you finish the journey to Nome. And the future is always uncertain. But you always have hope. Thanks for continuing to always be an inspiration to me! I always enjoy this post of your favorite photos of the year and the notes that go with them. Your blog, writings and photographs are a constant source of inspiration for me. I look forward to your posts in 2017 as a reminder of the importance and rewards of getting out in our precious natural world. And after reading the other comments, I agree that you should publish a calendar of your photos of the year! I would buy one.